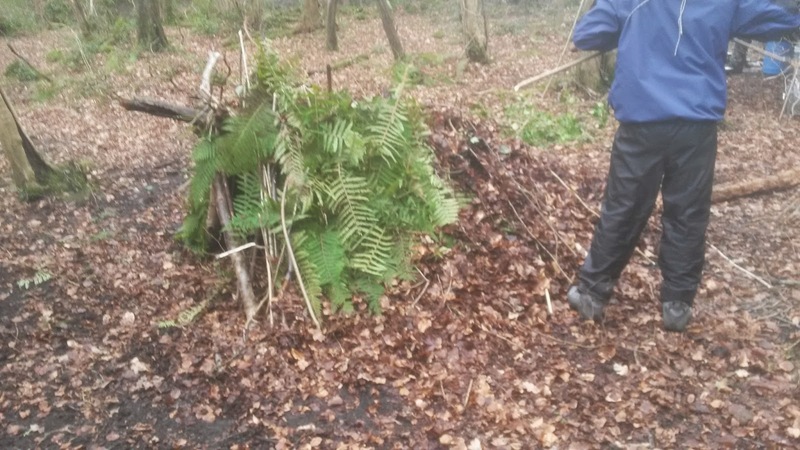 This is the simplest and most basic of all shelters, it doesn't require a fire for heat and if made well it insulates and waterproofs for a relatively decent nights rest. The start of the construction, no modern materials allowed (knives or saws or cordage) all had to be taken directly from the forest floor. I've slept in these before and when the books say to keep them small to preserve heat I can understand the reason why, but I found them quite claustrophobic and when I turned I kept hitting the side walls and dislodging the debris, so best, I feel, to allow for a little extra space and forsake a little of the insulating properties. 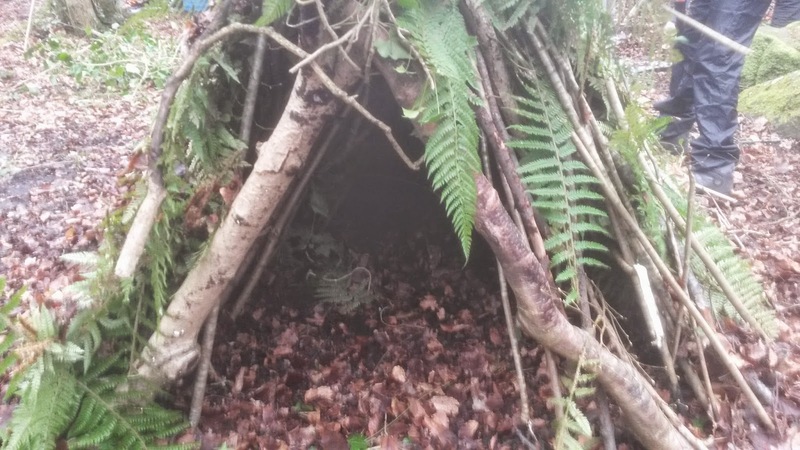 Don't forget to insulate the floor of these ( you can see the bed of leaves inside) sleeping directly on cold ground will steal your heat faster than you can believe, although I'd prefer spruce boughs, leaves will do at a pinch. 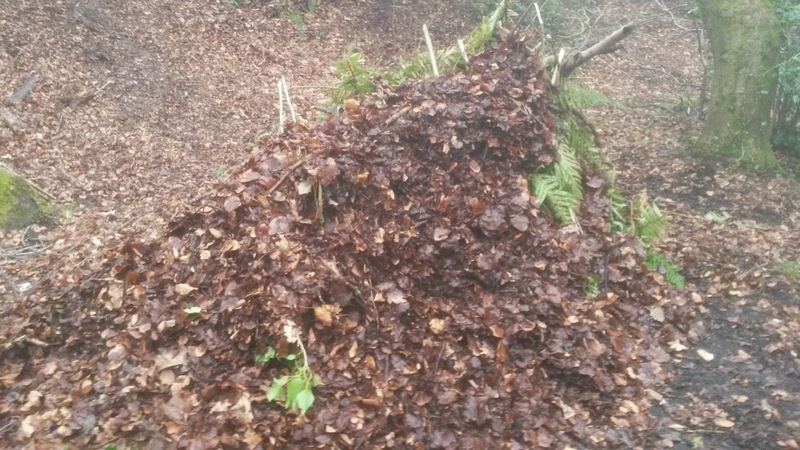 About halfway through the build and with the leaf litter starting to be piled on..
and the completed structure, it's incredible how well it blends into the natural surroundings, we had people walk past within 20 feet of it and they didn't even notice it's existence! !